The Sunscreen Doc: Can Using a Sunscreen Be Worse than Using a Tanning Bed? The Health Implications of a UVB Biased Sunscreen. In the past few years there has been a lot of media and attention on Tanning Beds. 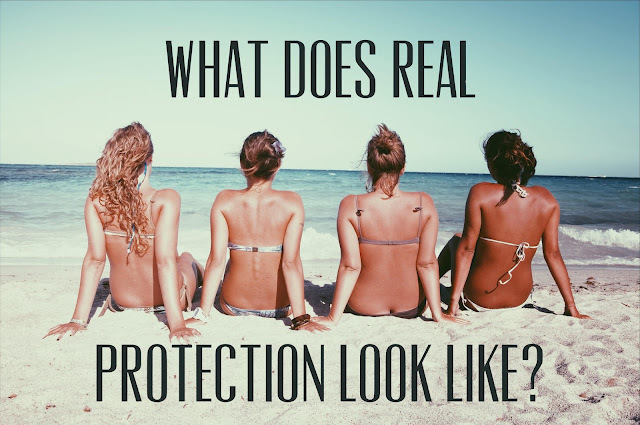 It's very interesting yet scary to come across an article that indicates sunscreens, which is a product that should be protecting us, is doing the exact opposite and could be potentially life damaging. Thanks for sharing your findings, it was definitely eye opening and hope it will be for others as well. Very informative. I will share this and help spread the message that zinc is best! I have read many blogs but your blog are always very nice and now here I got some detail about the sunscreens it's Good work keep it up. Thanks for writing such a detailed and well-grounded article! We must apply sunscreen even while sitting indoors as when we’re indoors, we are constantly exposed to LED lights and computer screens, TV screens or phone screens, which emit blue light and IR rays. If you are keen on natural beauty, just get redirected here and learn more about the best beauty tips to look stunning naturally.